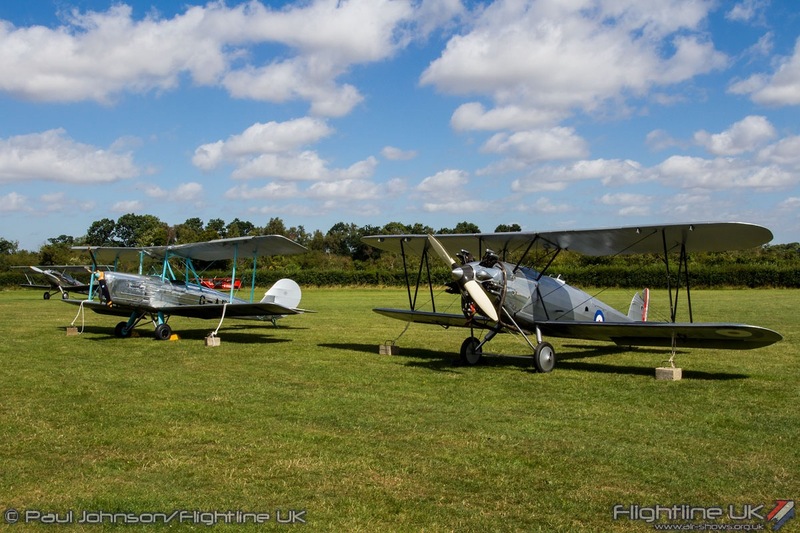 There are few finer places to spend a lazy summer’s afternoon than Old Warden. 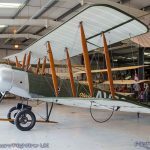 The first weekend of August saw the Shuttleworth Collection hold an “Edwardian Pageant” which would have seen a unique selection of military and civilian aircraft from the early 1900’s take to the air. 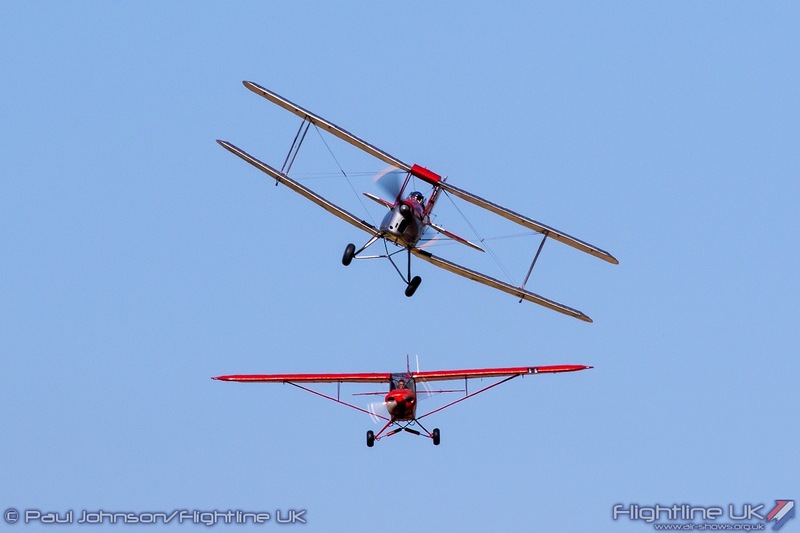 Sadly, an unseasonably strong breeze put paid to that despite the gin clear blue skies! 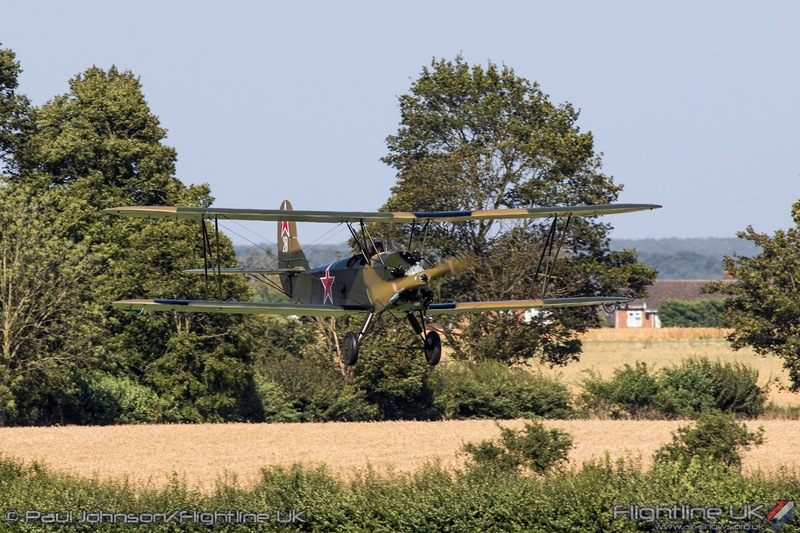 In their place, the Shuttleworth Collection’s pilots brought out the more resilient aircraft for a fine afternoon flying display. 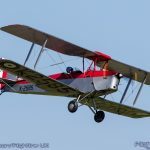 Warm, deep blue skies and fluffy white clouds should signal perfect conditions for any of Shuttleworth Collection’s flying displays. 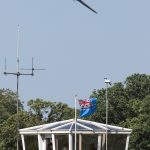 However, a deep low pressure system passing over Scotland brought in breezy conditions throughout the UK. 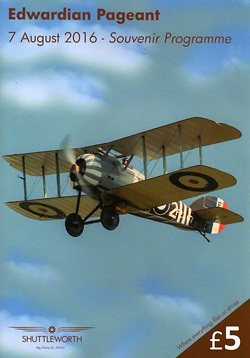 Fortunately, the wind was not completely across the main runway at Old Warden, but the gusts and crosswind component was more than enough to ground many of the earlier, more fragile aircraft The wing also caused problems for radio-controlled model aircraft which led to a rather unfortunate end to one such model which was due to dsplay ahead of the main flying display. 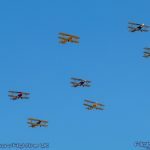 It was a great shame as the Edwardian Pageant promised to bring together a very unique collection of World War One aircraft. 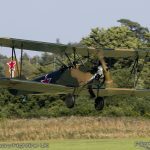 Some did make it to Old Warden having arrived on Friday or Saturday so were at least on static display within the Hangars. 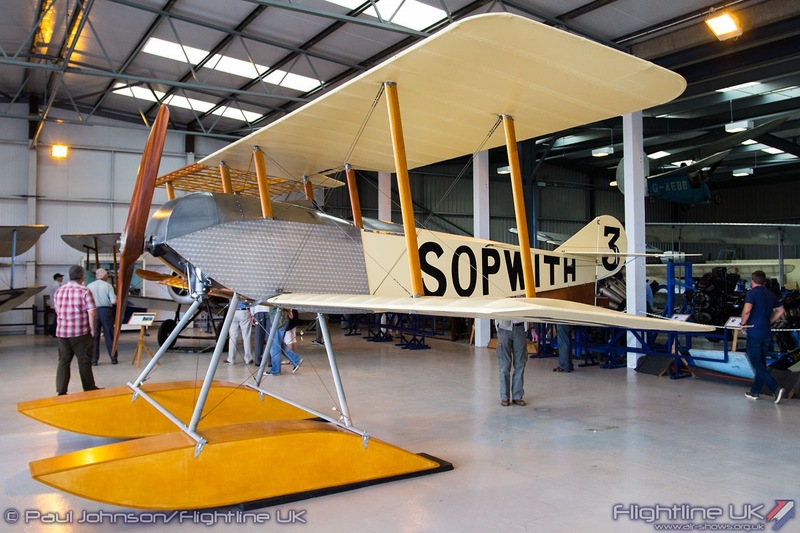 Amongst them was Eric Verdon Roe’s beautiful Avro 504K replica “Olivia.” The replica was built in Argentina from original plans, but has been completed by Matthew Boddington at Sywell. 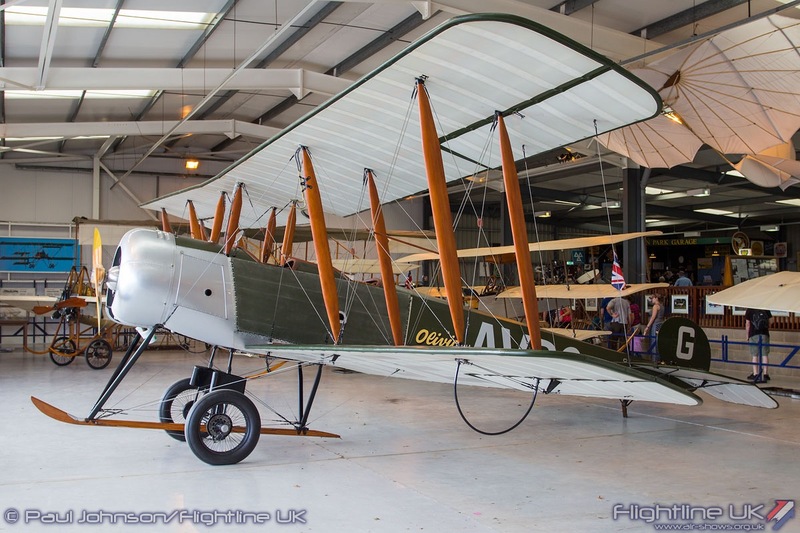 It will hopefully be performing as part of the Great War Display Team later this year. 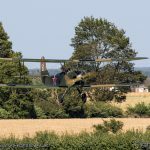 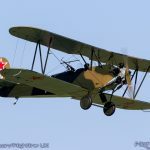 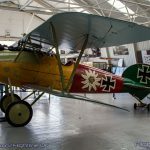 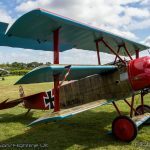 The World War One Aviation Heritage Trust (WAHT) have become regular visitors to Old Warden and had brought with them their Albatros DVa and Sopwith Snipe. 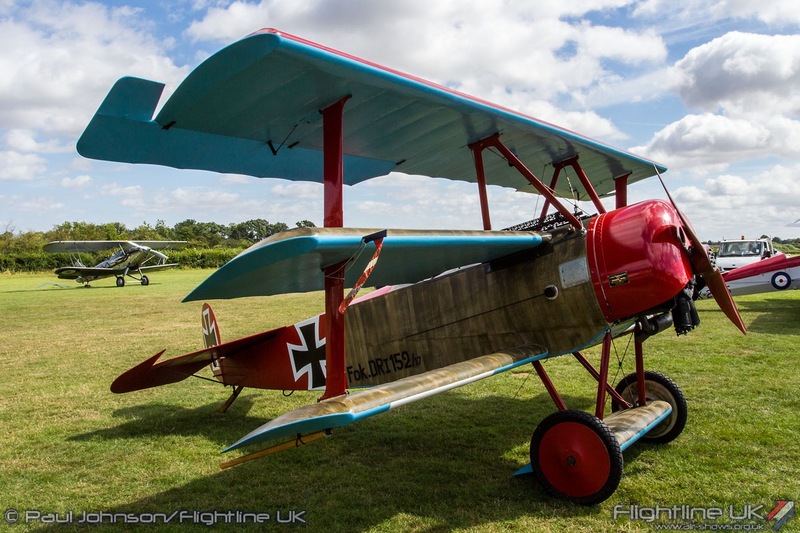 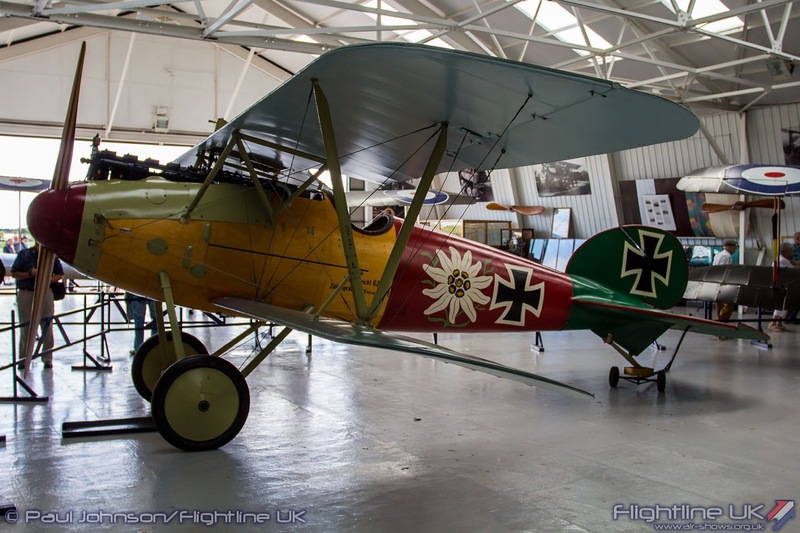 Another rare World War Replica was the Fokker Dr1 from the Real Aeroplane Company based at Breighton. 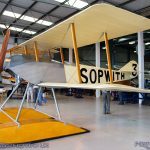 It was not just the aircraft celebrating the Edwardian period as the collection amassed an impressive collection of vehicles including a Heavy-Horse drawn Fire Engine and a number of Ford Model-Ts. 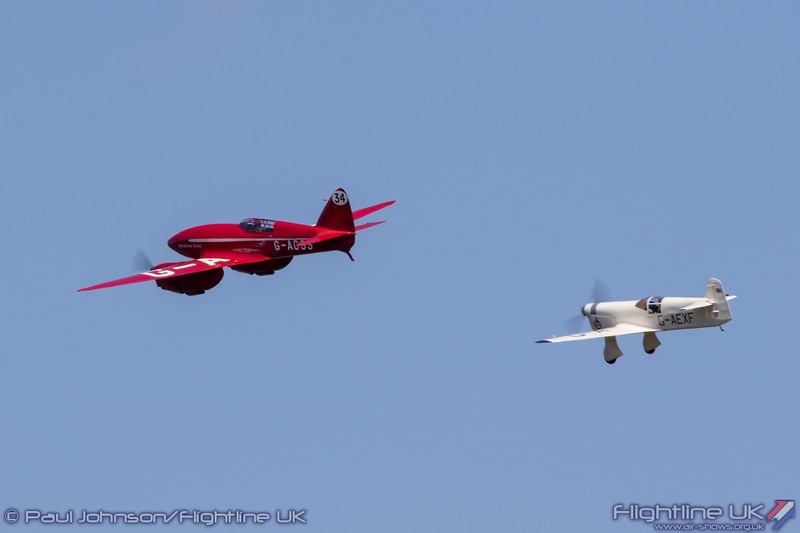 Opening the flying display were a trio of racing aircraft from the 1930’s. 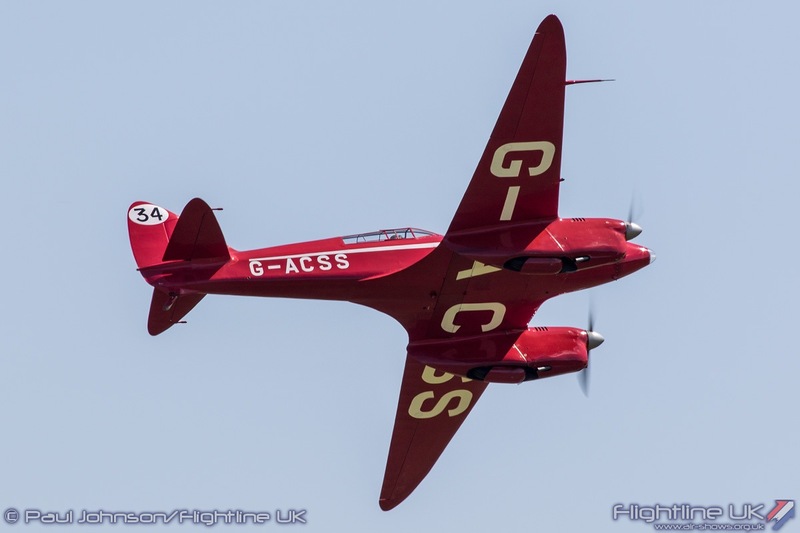 Leading the trio into the air was the glorious de Havilland DH88 Comet. 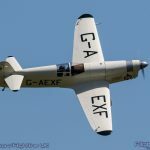 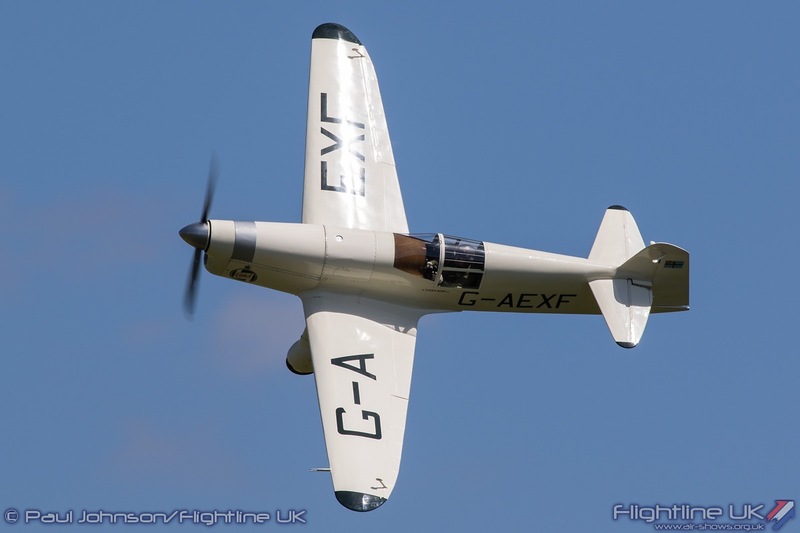 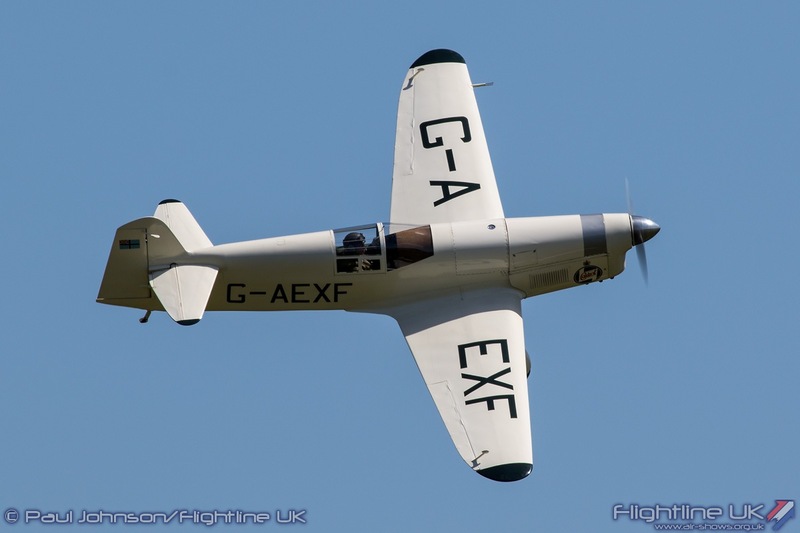 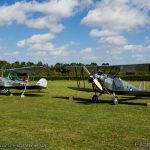 It was followed by a pair of Percival Mew Gulls; the Shuttleworth Collection own example G-AEXF and Davis Beale’s reproduction aircraft G-HEXL. 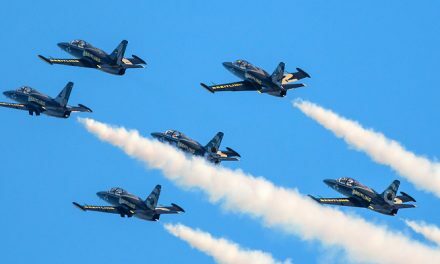 The three aircraft gave some loose tail-chase passes before splitting into their individual routines. 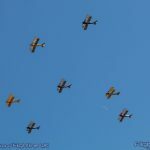 The Tiger9 Display Team deserves an awful lot of credit for their display. 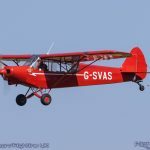 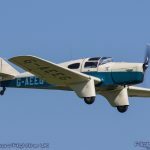 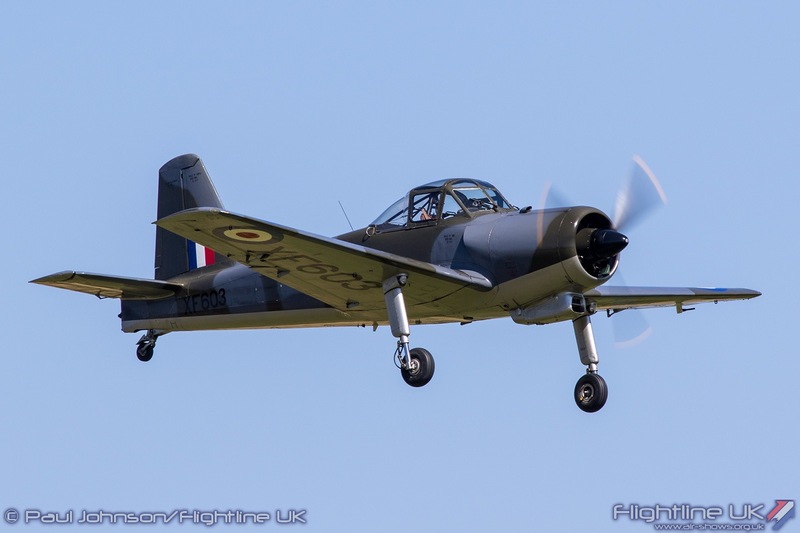 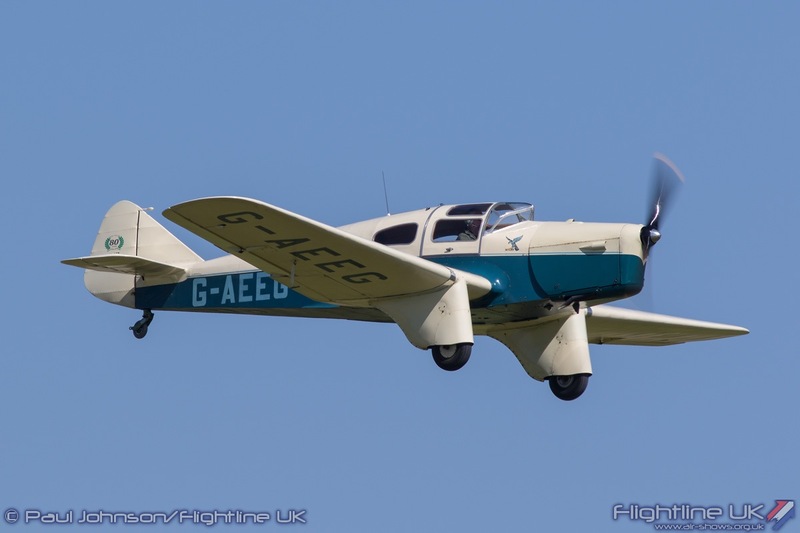 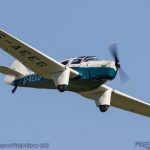 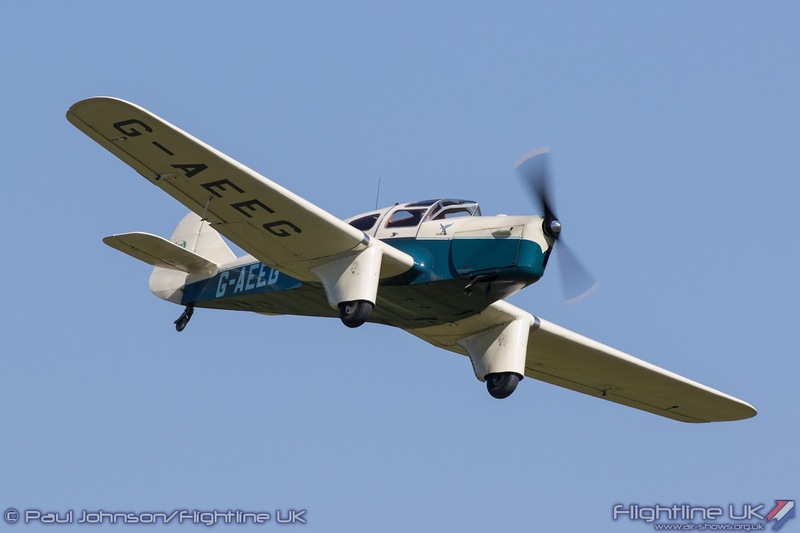 The high winds meant the team had to fly from the open expanses of Bicester Airfield to avoid any crosswinds before making the bumpy transit to Old Warden. 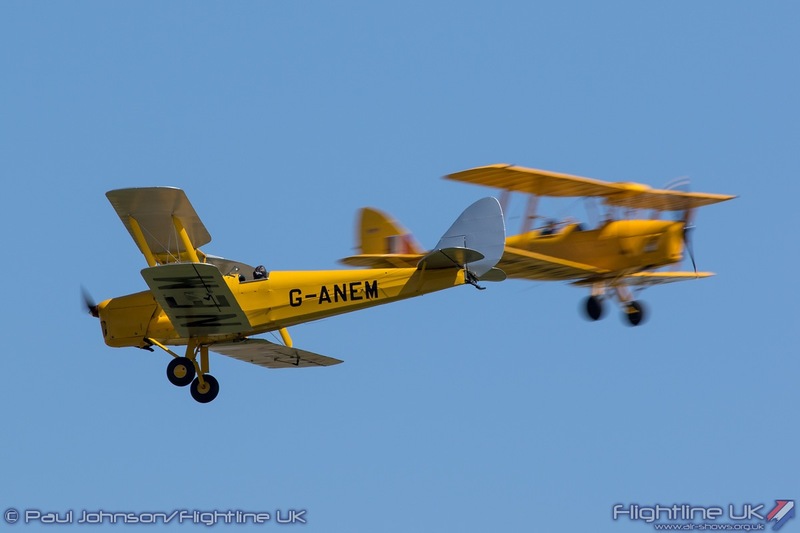 Keeping such low powered and light aircraft like the de Havilland DH82a Tiger Moth in formation is a challenge at the best of times, but the choppy conditions meant the team pilots worked incredibly hard. 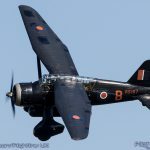 Despite the challenges, they presented their full display drawing well deserves applause from the appreciative audience. 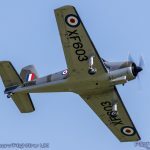 A number of Old Warden based aircraft gave solo displays during the afternoon. 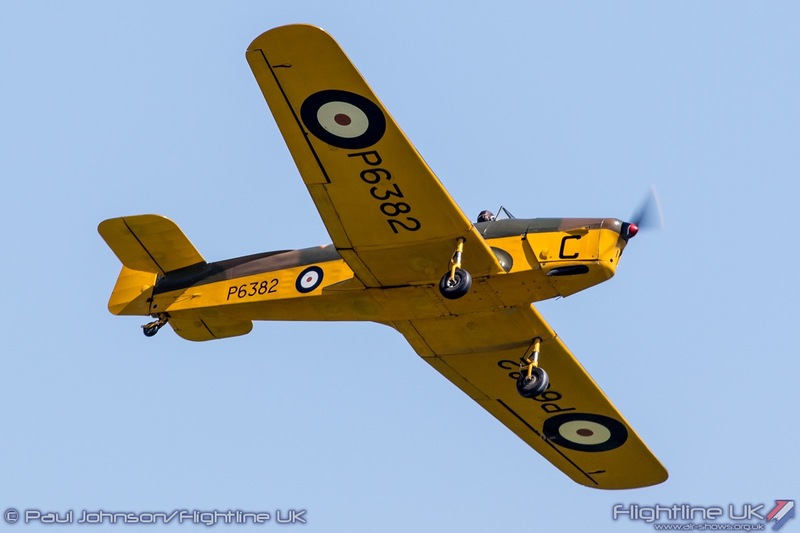 The Miles Magister and an aerobatic routine from the Percival Provost continued the training theme following on from the Tiger9. 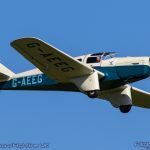 A break from the military inspired displays saw Bob Morcom display the beautiful Miles Falcon owned by Peter Holloway representing 1930’s touring types. 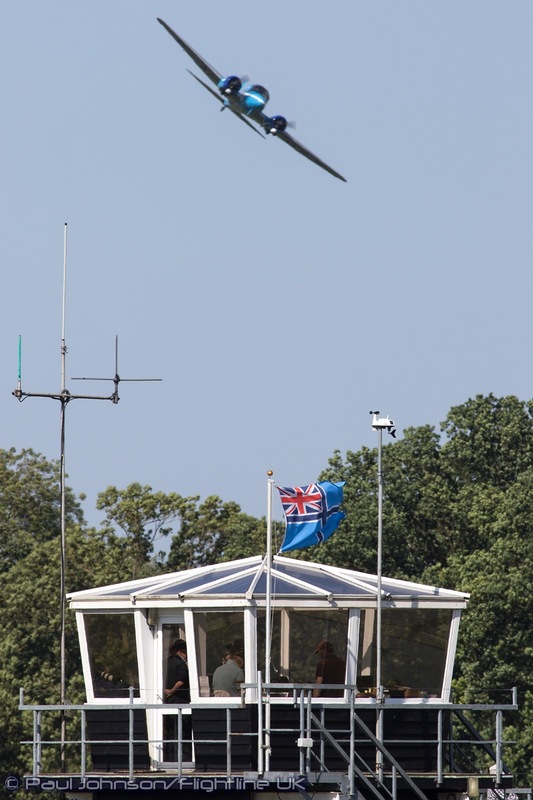 The Falcon also flew later in the display as part of the classic Old Warden ‘Barnstorming’ display. 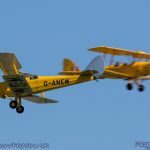 Slightly abridged due to the winds, the Falcon was joined by the collection’s own de Havilland DH82a Tiger Moth and the Piper Super Cub for rounds of flour-bombing and balloon bursting. 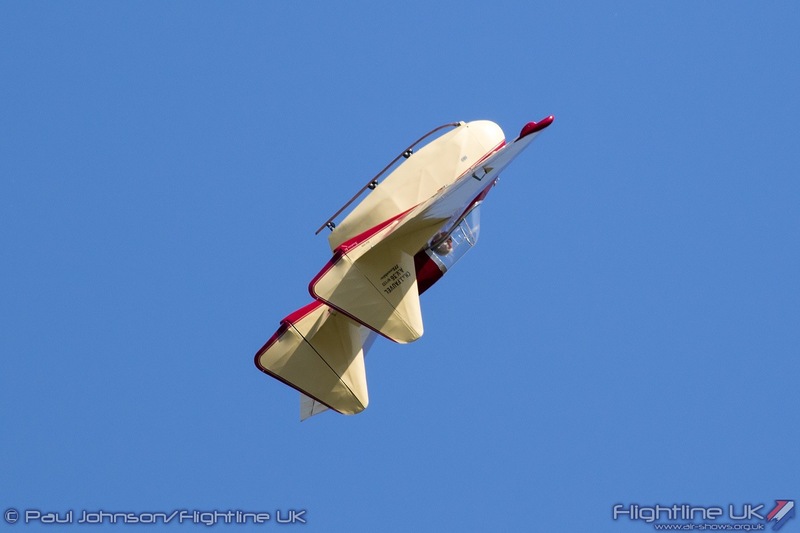 Each discipline proved very challenging in the conditions and good fun to watch. 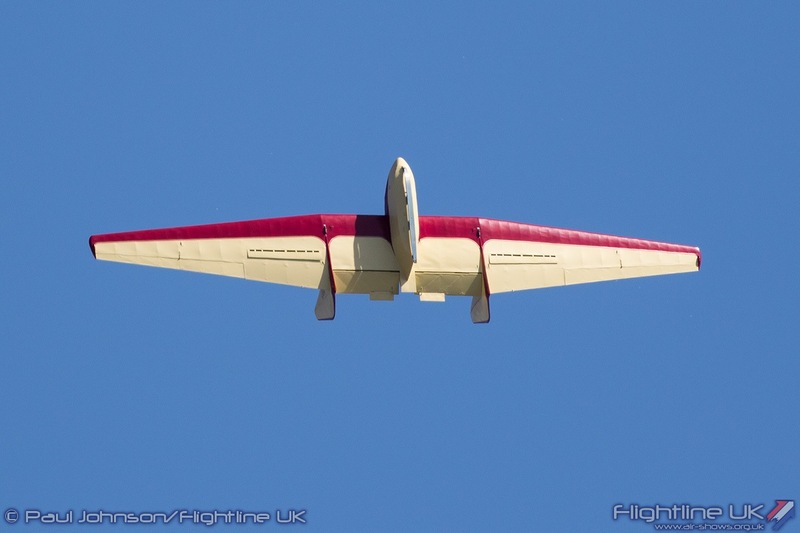 Some vintage gliding was also included in the display with the Fauvel AW36 flying-wing taking to the skies. 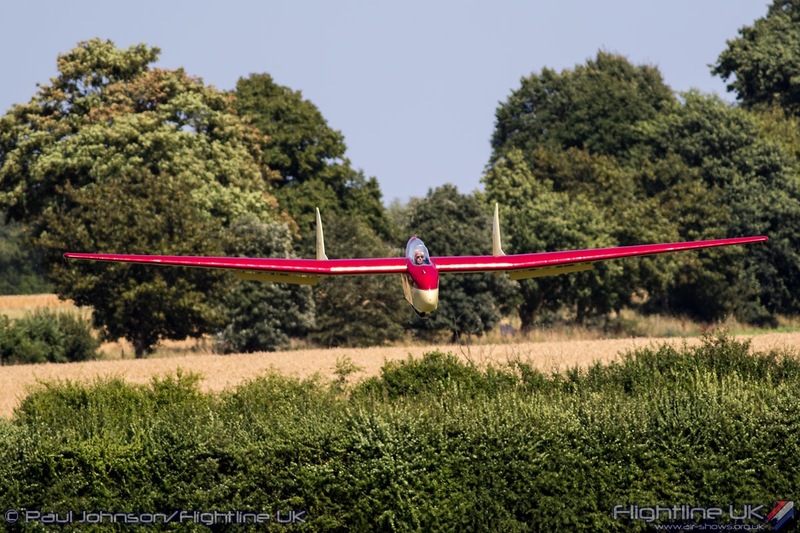 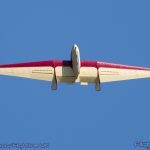 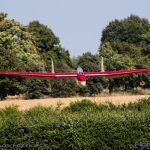 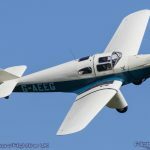 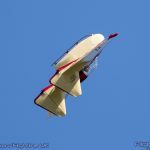 Graham Saw gave a very impressive aerobatic account of the strange looking glider. 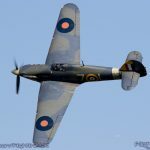 The gusty conditions meant that the Collection drew on some of its heavier metal for much of the display. 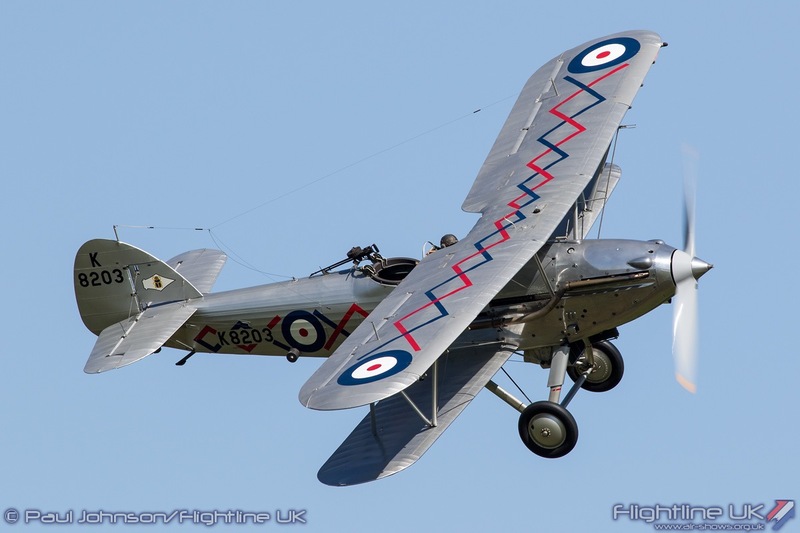 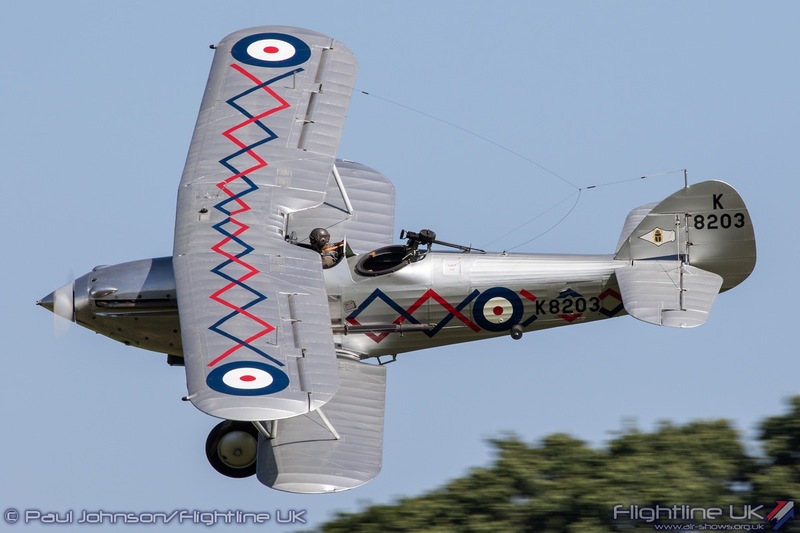 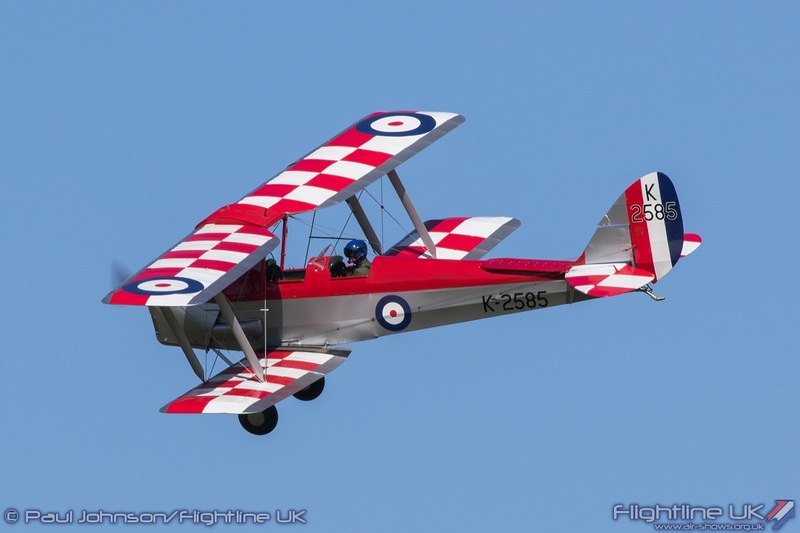 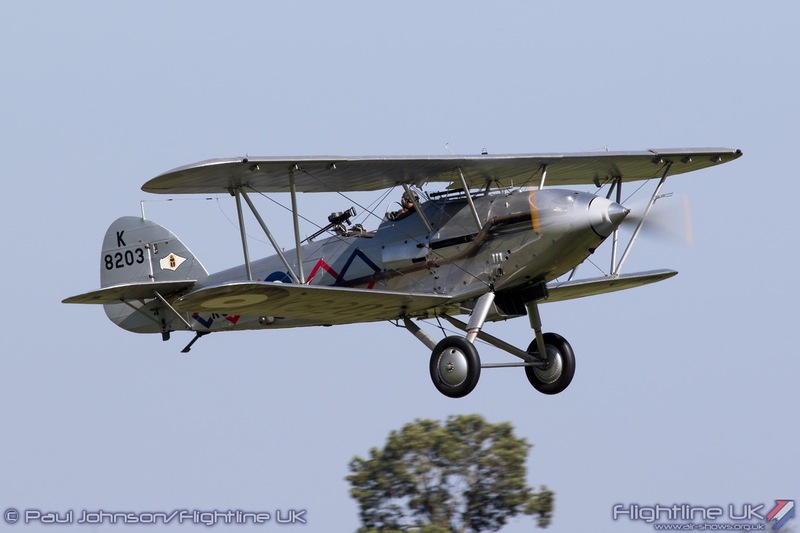 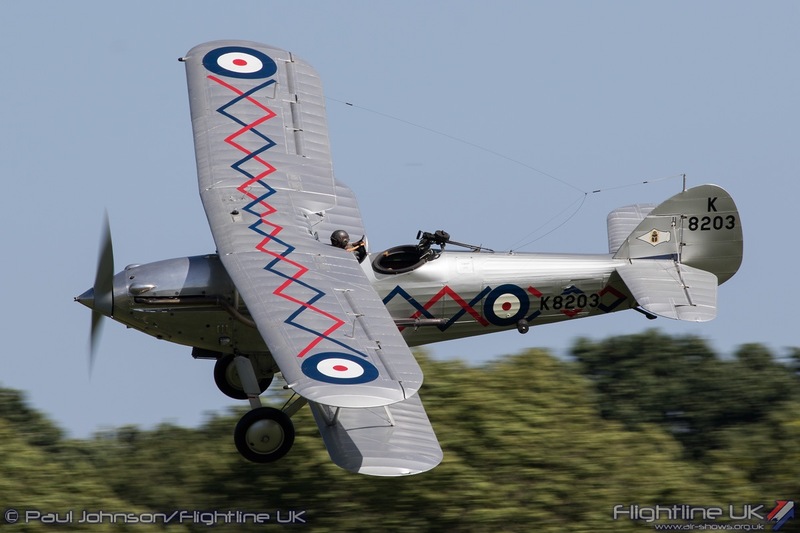 Frontline fighter aircraft of the 1930’s were represented by the very elegant Hawker Demon flown by Stu Goldspink. 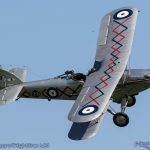 The Demon, like all Hawker Biplanes, has beautiful lines and Stu made great use of the dog-legged display line to show these off superbly for the audience. 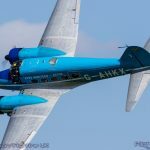 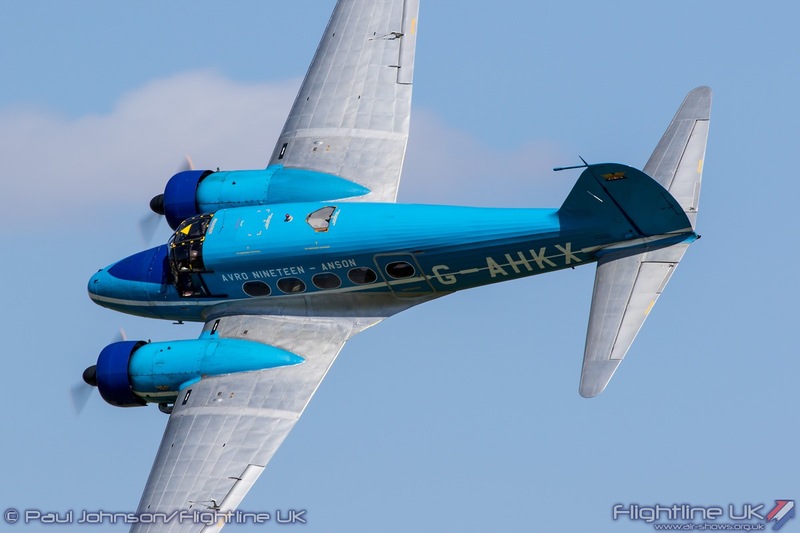 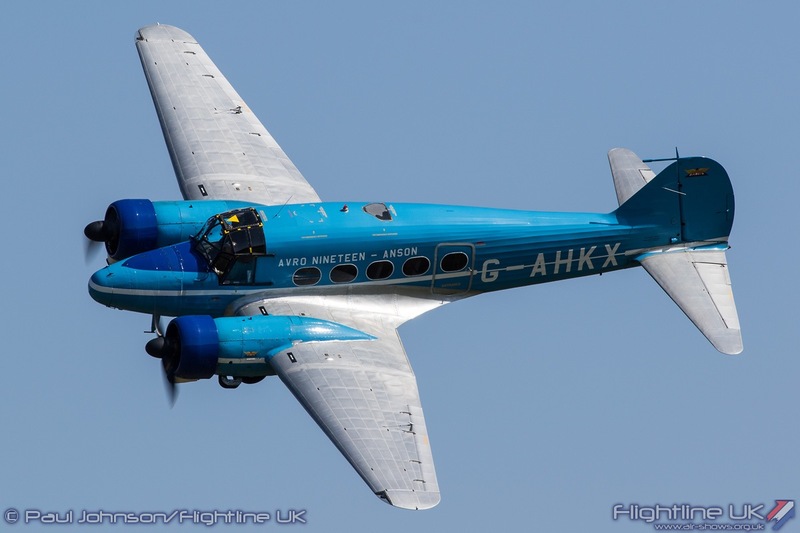 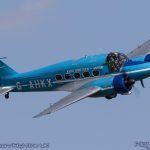 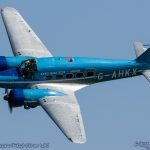 The BAE Systems Heritage Flight Avro C19 Anson followed the Demon with some curving flypasts up and down the Old Warden crowdline with the wings glinting in the sun. 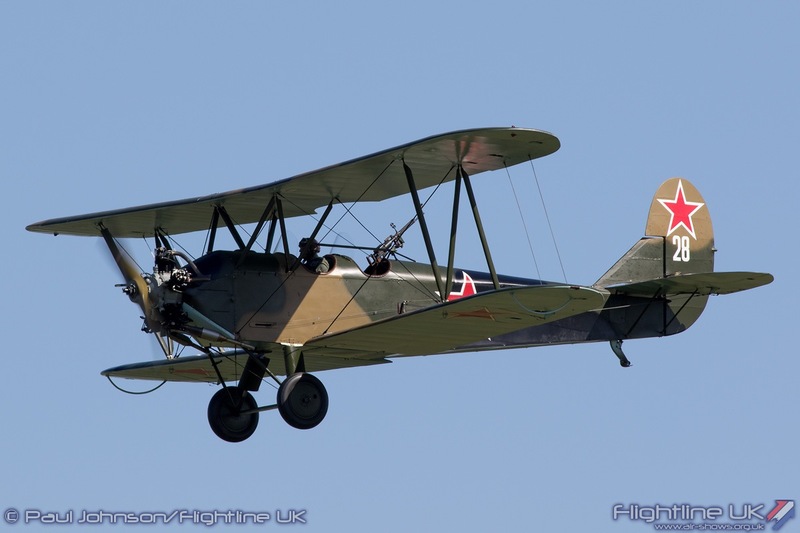 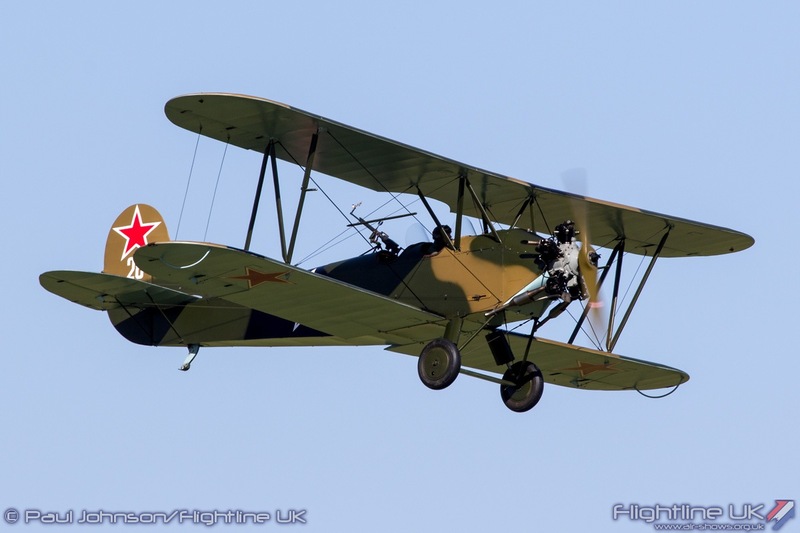 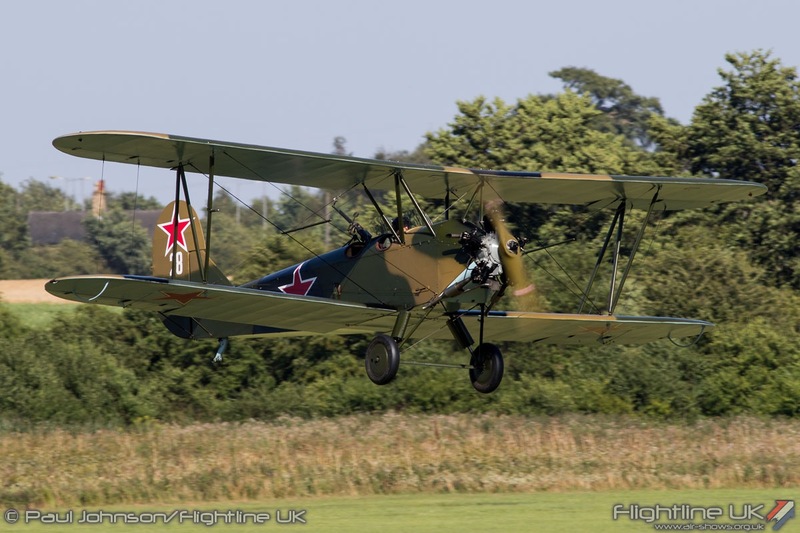 A far more utilitarian looking biplane from the late 1930 is the Russian Polikarpov Po-2. 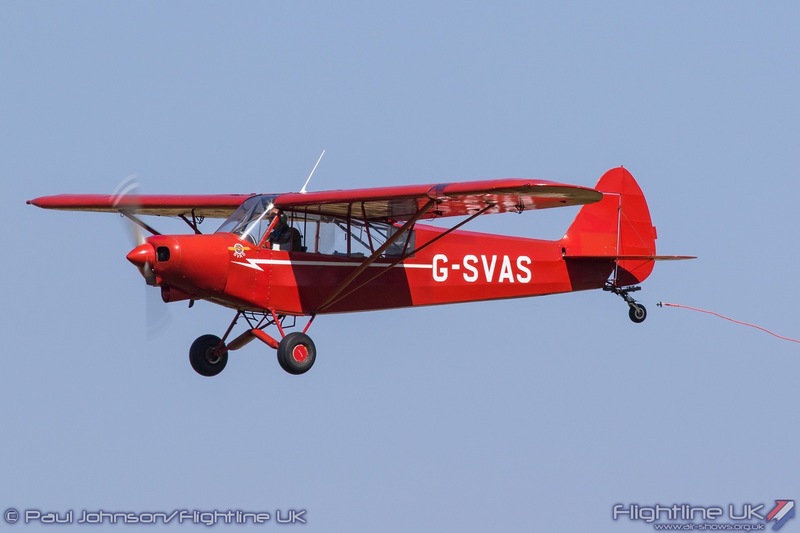 Nor does it sound so sweet with a much more agricultural sounding engine. 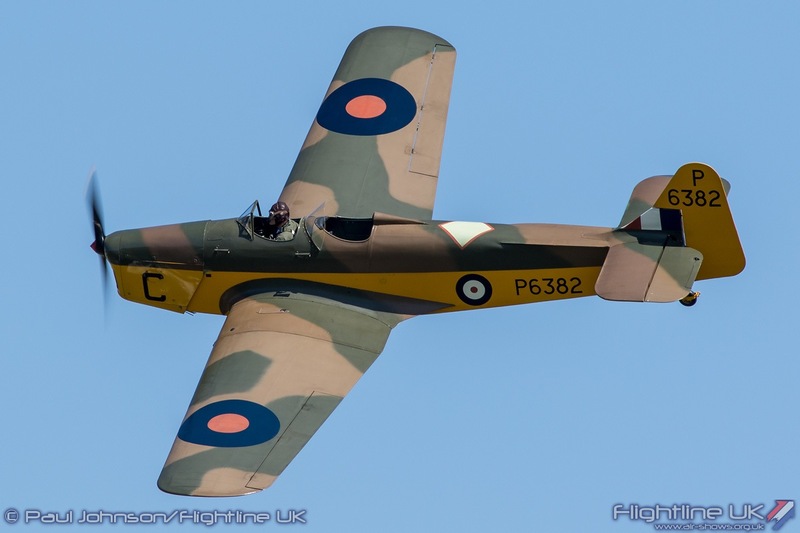 It is however a very significant design have served in a very wide variety of roles including as a light bomber in both the Second World War and the Korean Conflict. 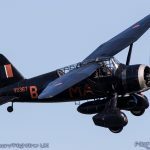 The Po-2 was displayed alongside the Collection’s Westland Lysander. 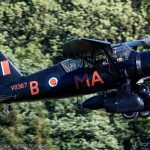 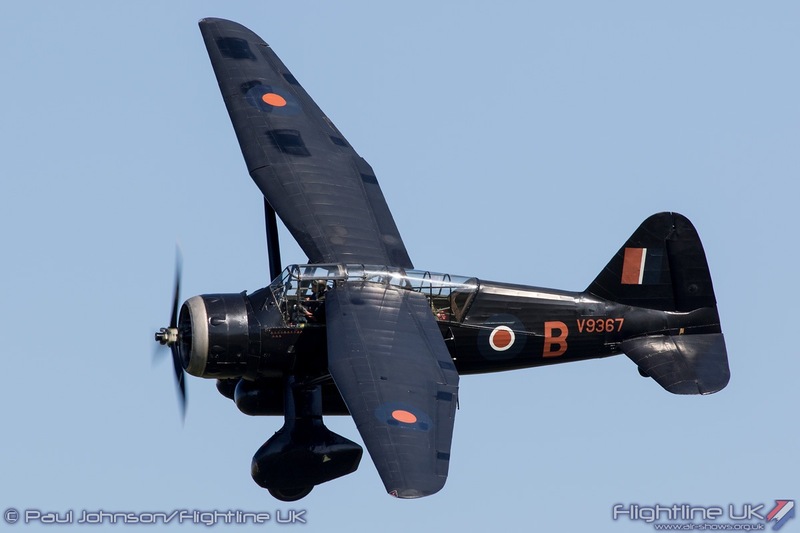 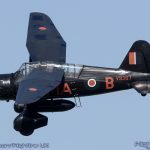 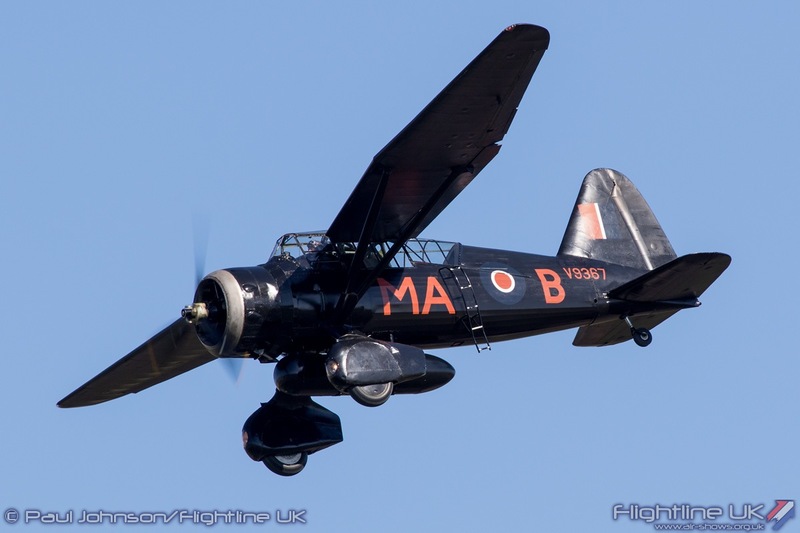 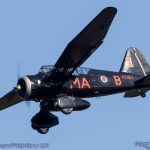 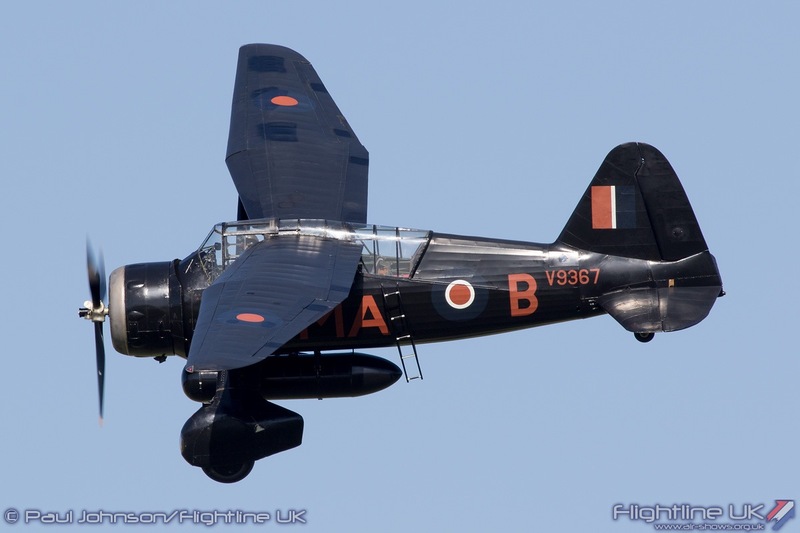 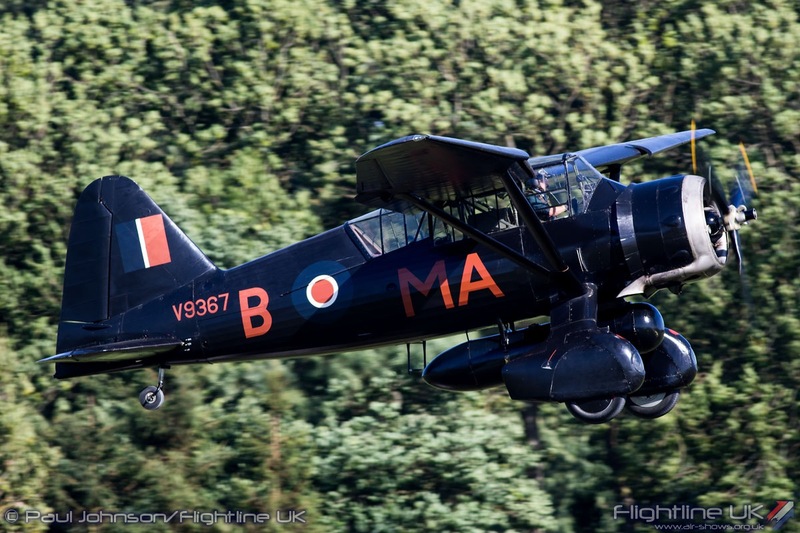 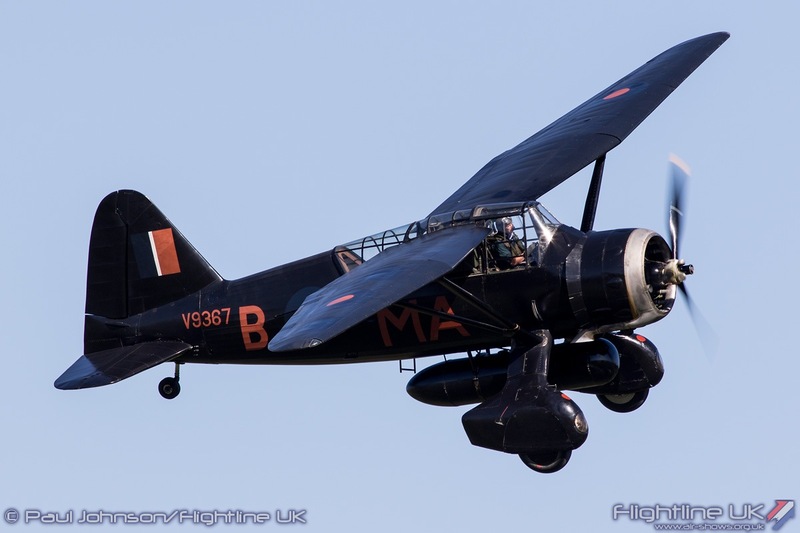 Like the Po-2, the Lysander saw a variety of uses during the Second World War. 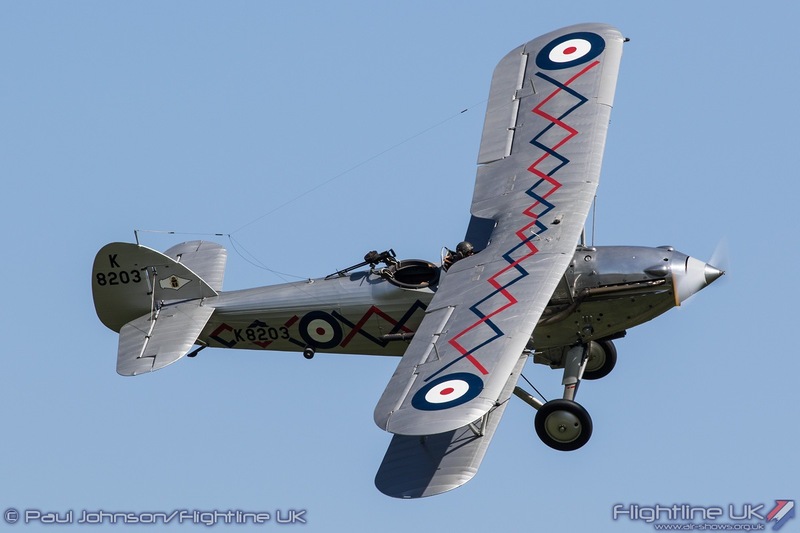 The Collection’s aircraft has been configured to highlight perhaps its most famous role which was supporting the Special Operations Executive in occupied France. 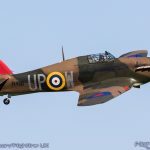 Hawker Hurricane I R4118 of Hurricane Heritage and the Collection’s own Sea Hurricane Ib formed the finale to the day’s flying. 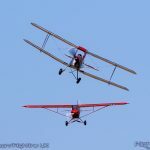 The pair made a few formation passes before performing their own solo routines. 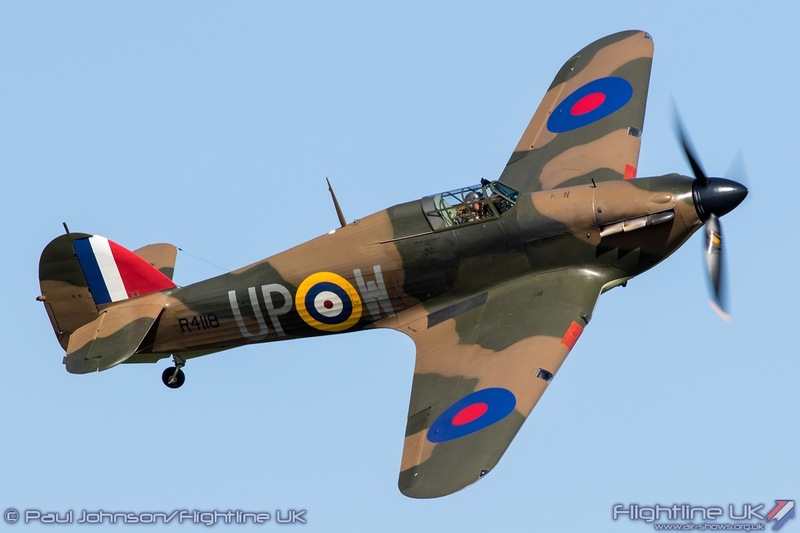 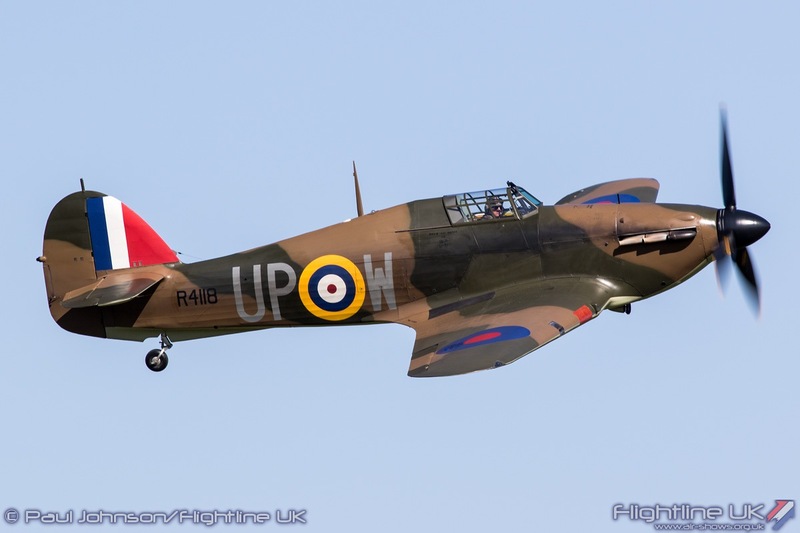 Stu Goldspink returned to fly R4118 through a spirit routine of barrel rolls and topside passes before Frank Chapman closed the day with some sweeping passes in the Sea Hurricane. 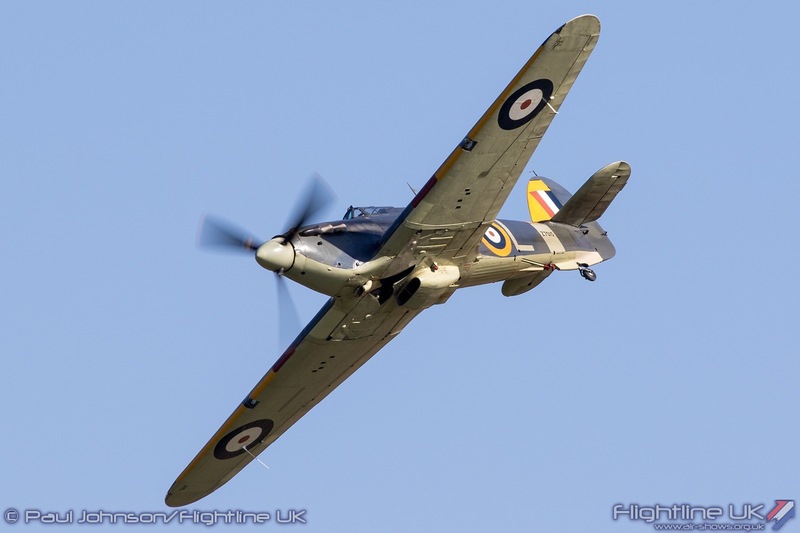 By the time the Hurricane’s flew, Old Warden was bathed in warm late afternoon sunshine – just perfect! 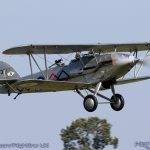 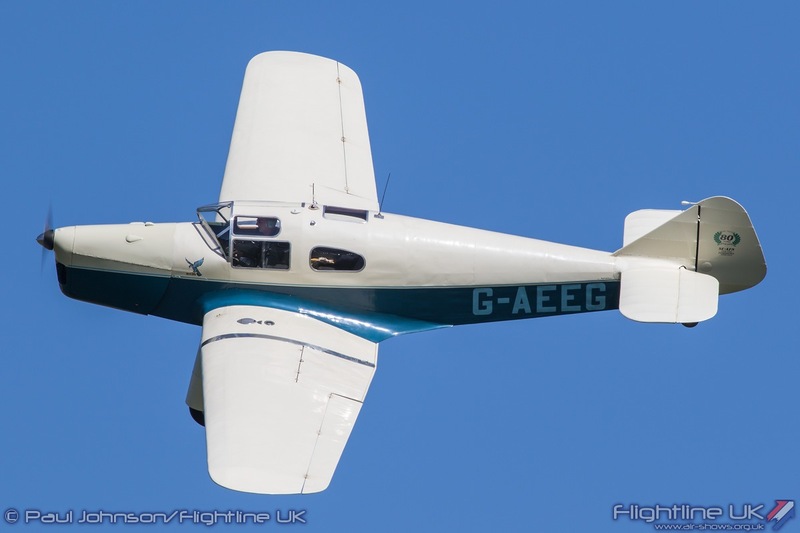 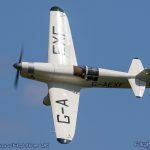 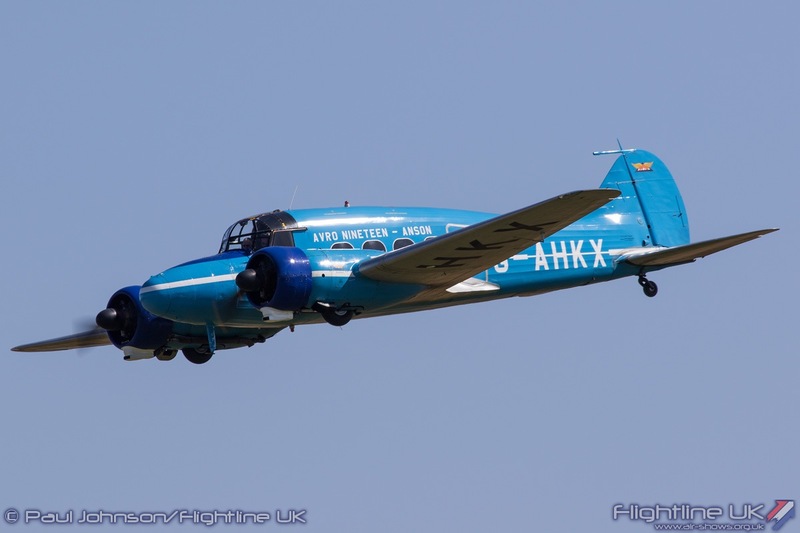 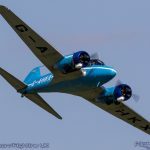 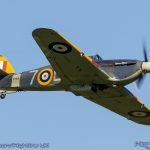 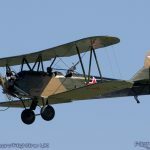 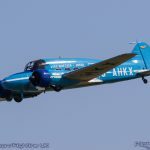 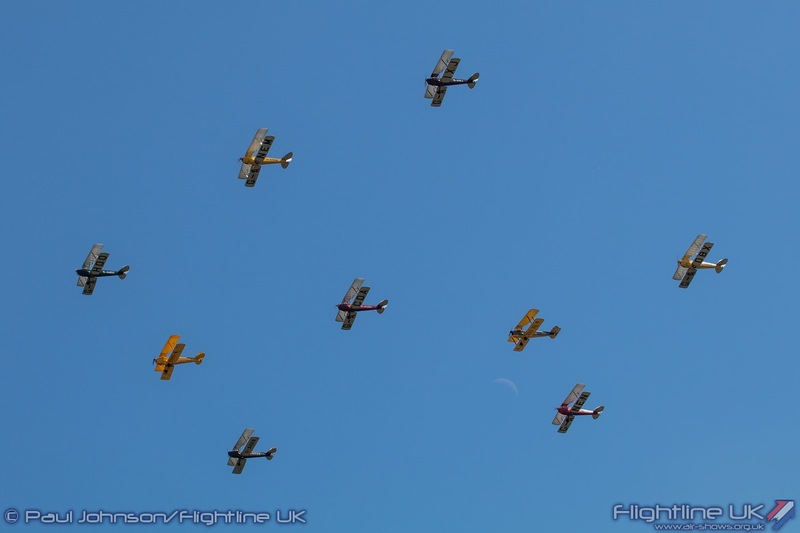 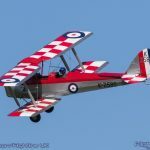 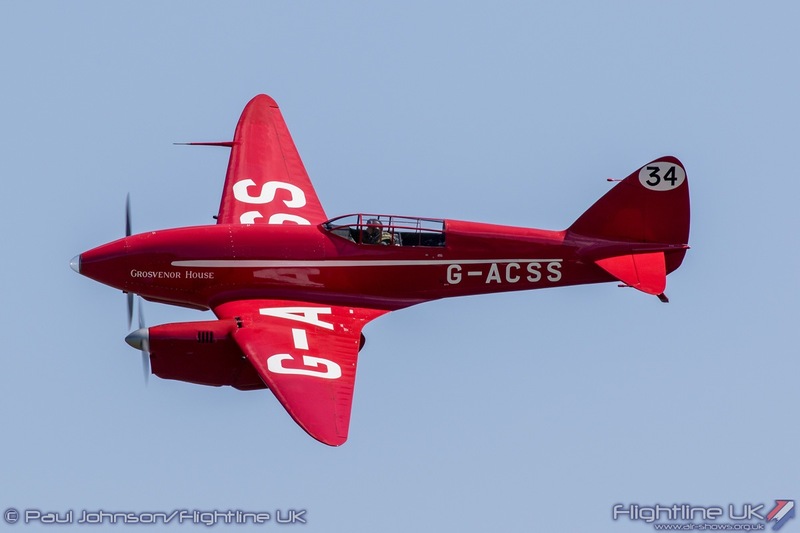 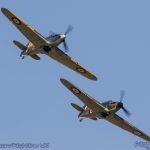 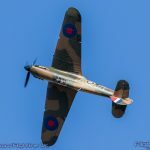 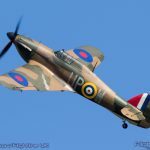 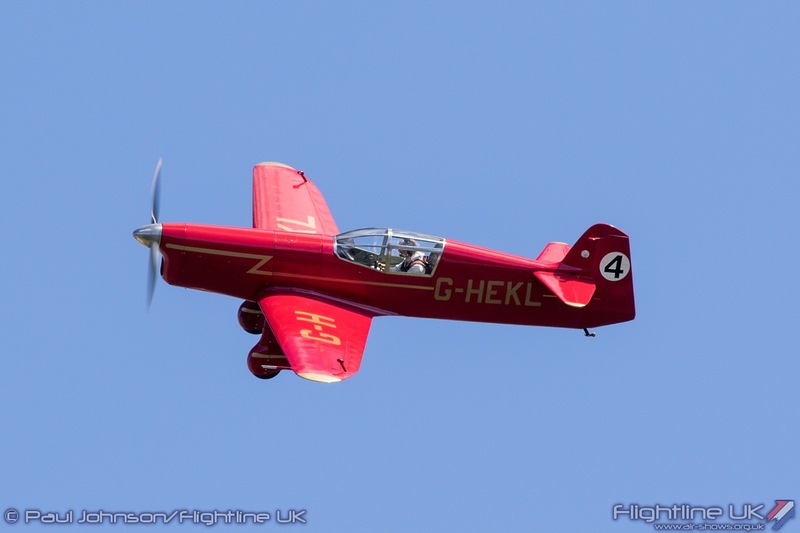 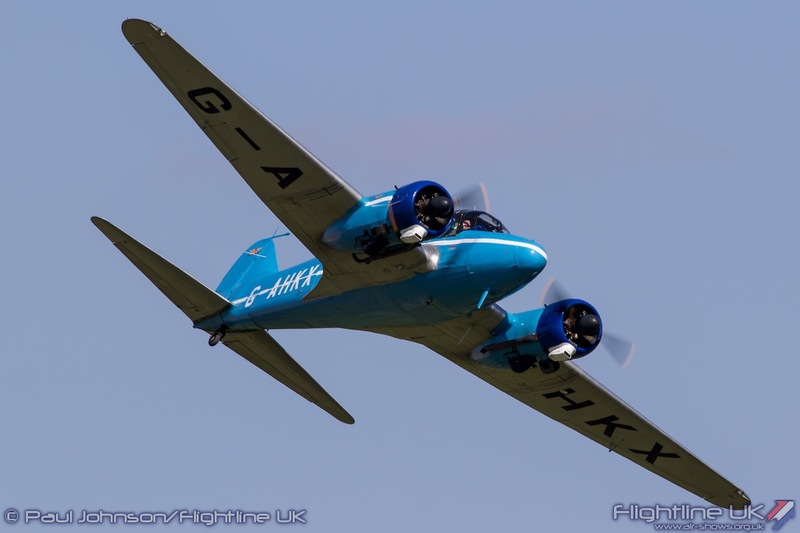 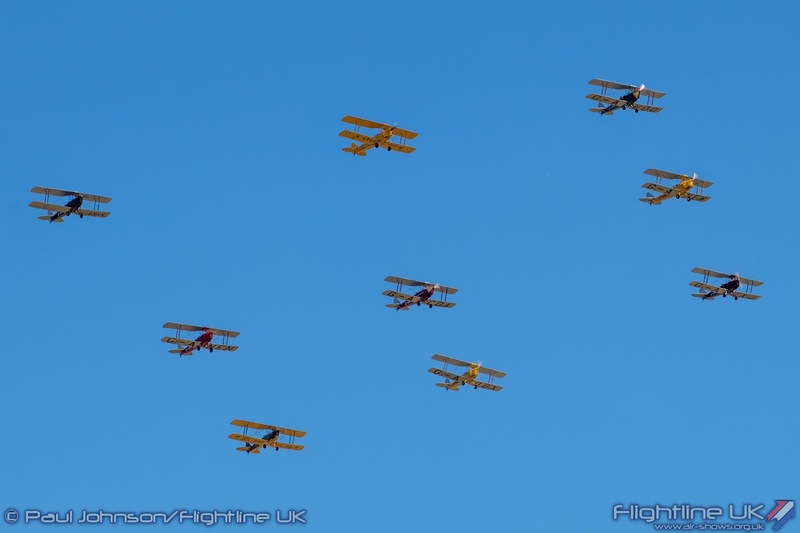 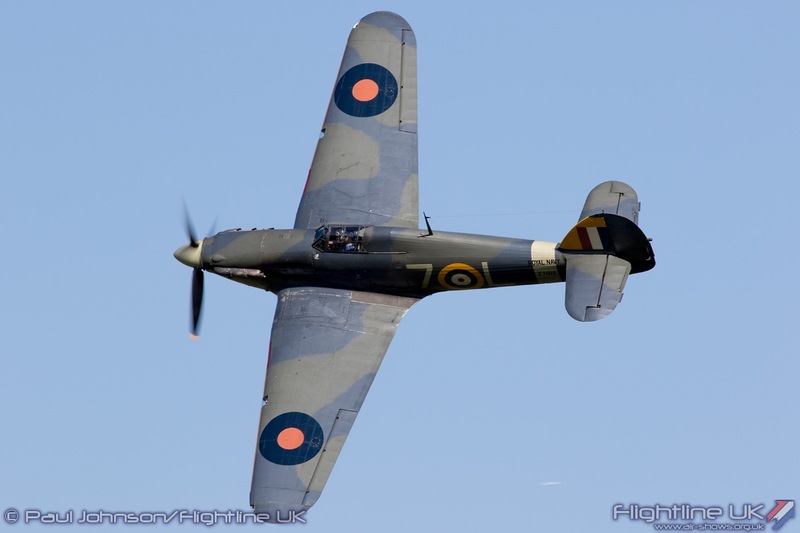 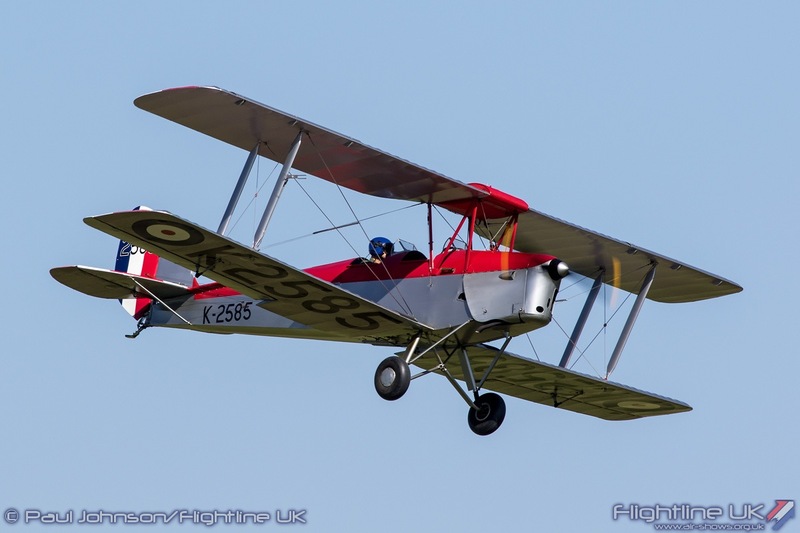 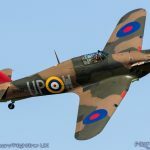 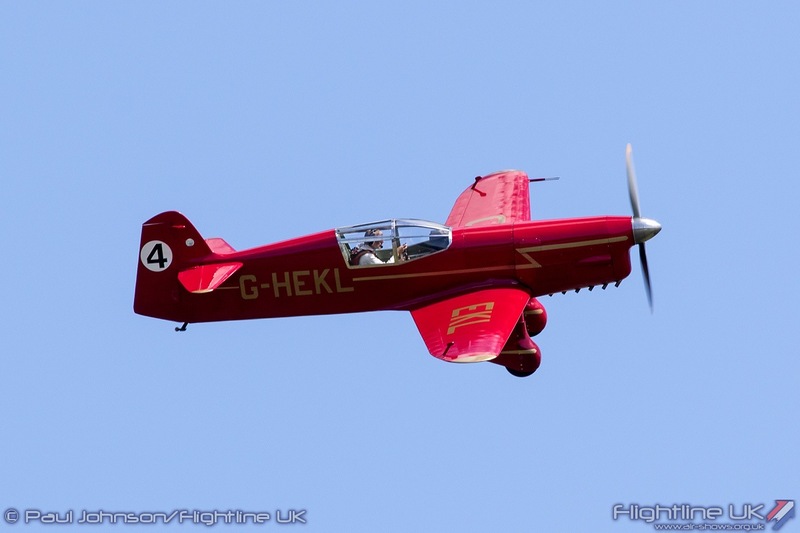 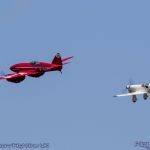 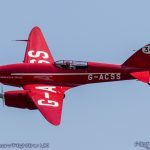 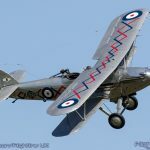 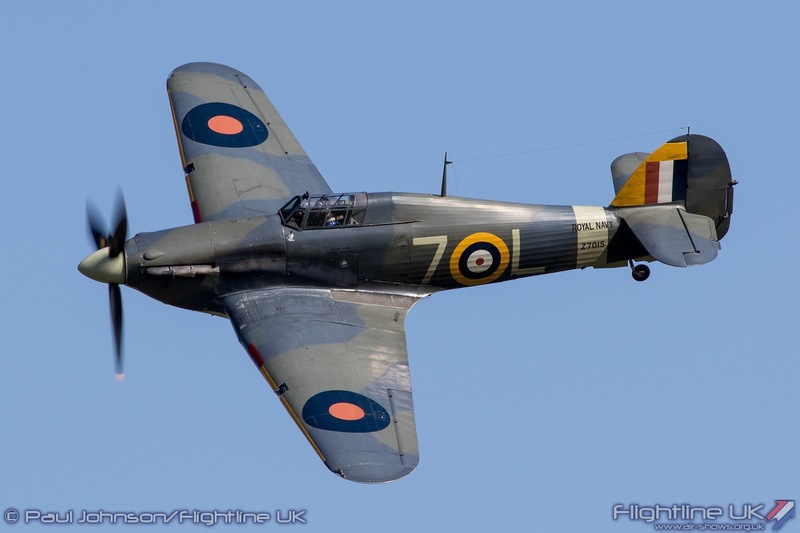 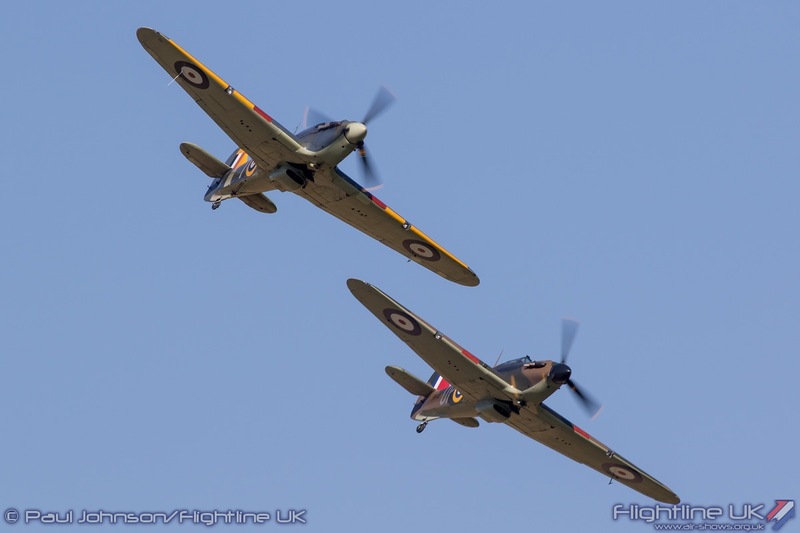 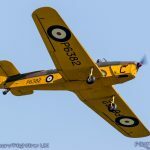 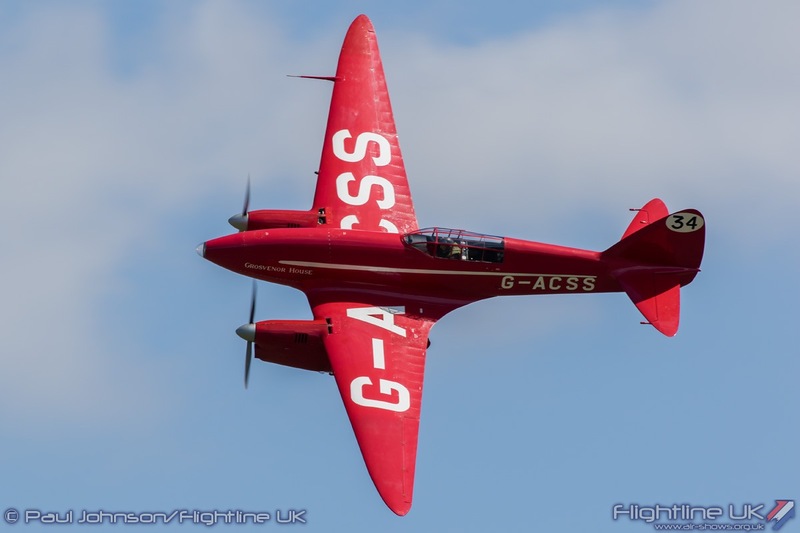 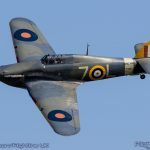 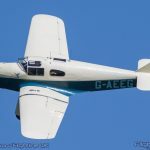 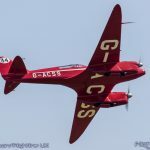 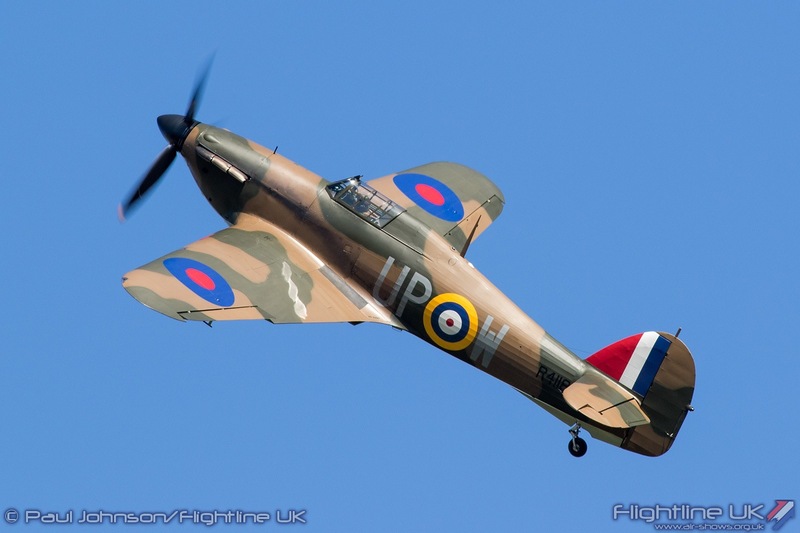 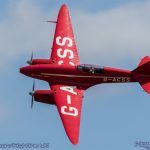 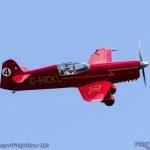 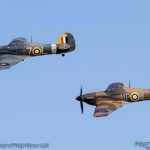 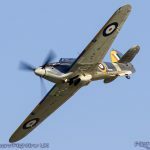 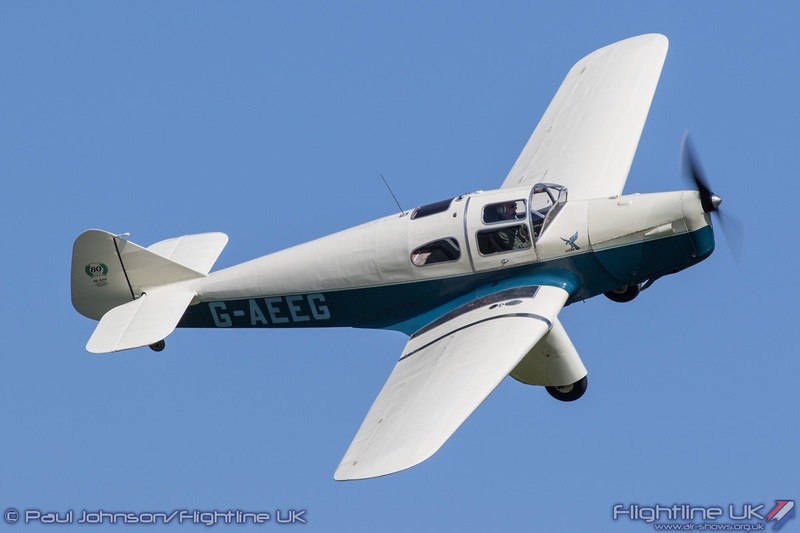 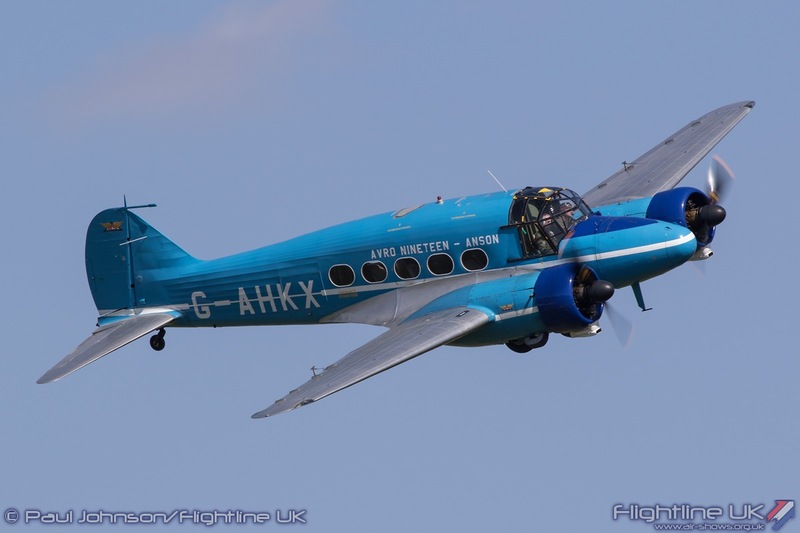 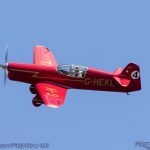 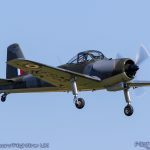 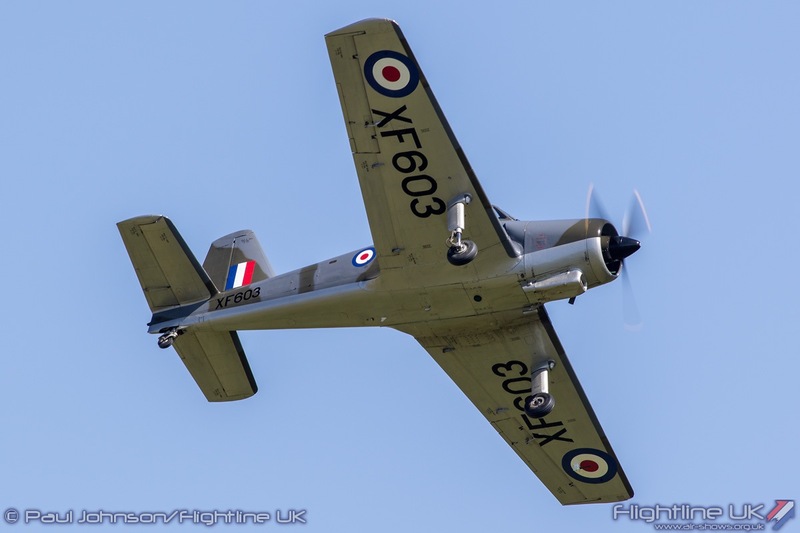 The Pageant was also notable as it as one of the first air displays held at Old Warden since the Shuttleworth Collection received its dispensation from the Civil Aviation Authority to move the display lines back closer to the crowd. 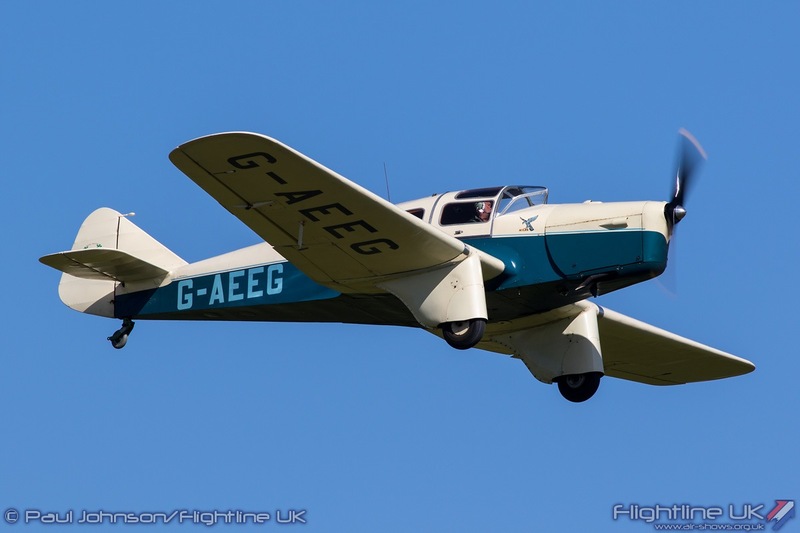 This involved significant work from the Collection’s Chief Pilot Roger ‘Dodge’ Bailey putting forward the various risk assessments and safety case to the CAA’s General Aviation Unit. 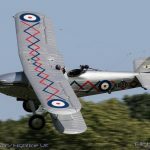 It is great news for the Collection and visitors as the intimate feel of the flying at Old Warden was always one of the main attractions. 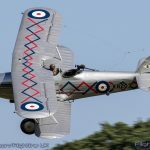 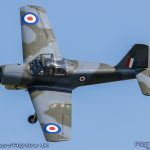 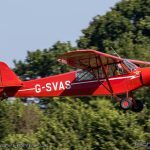 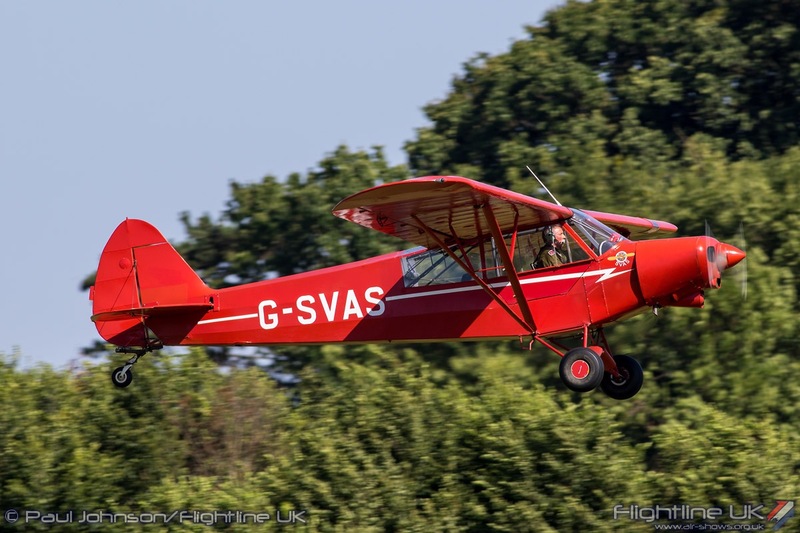 Old Warden has always been a magical place and even on a day when the weather is less than perfect, it still proved itself to be a wonderful day out. 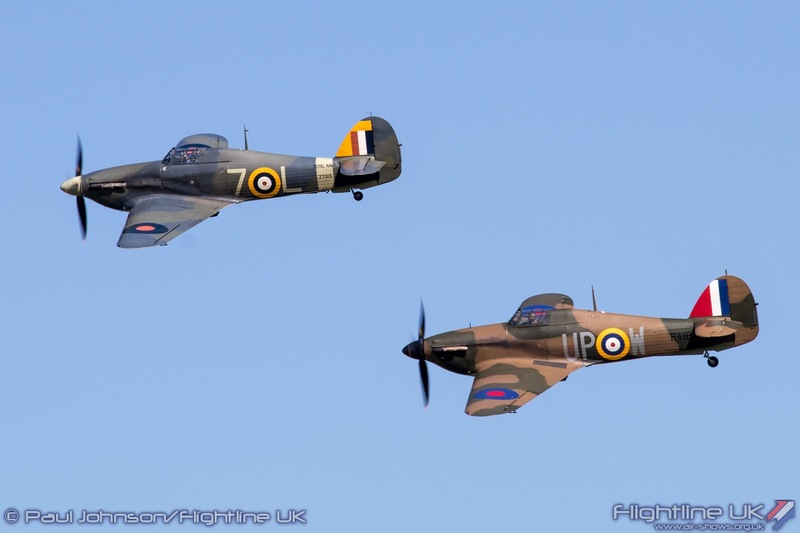 Contributing to that atmosphere was the gentle, entertaining and informative commentary from former collection pilot, George Ellis. 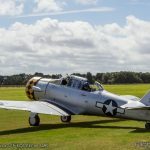 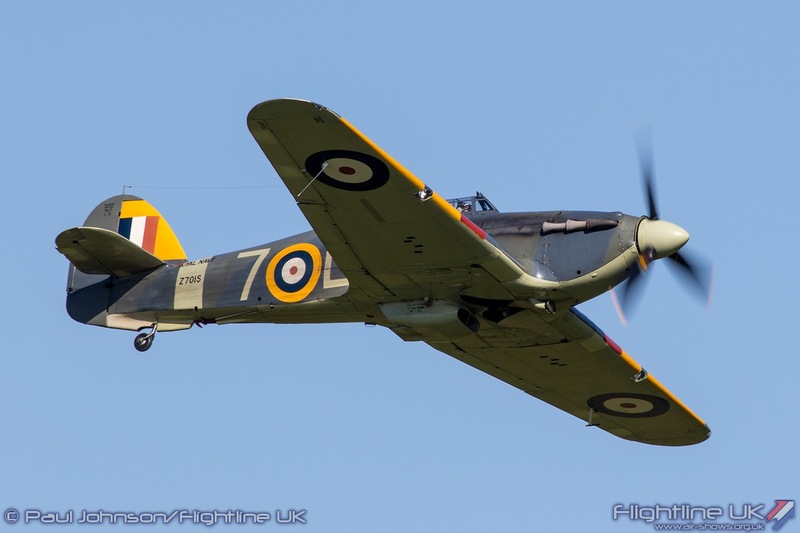 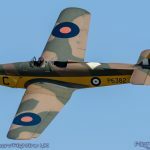 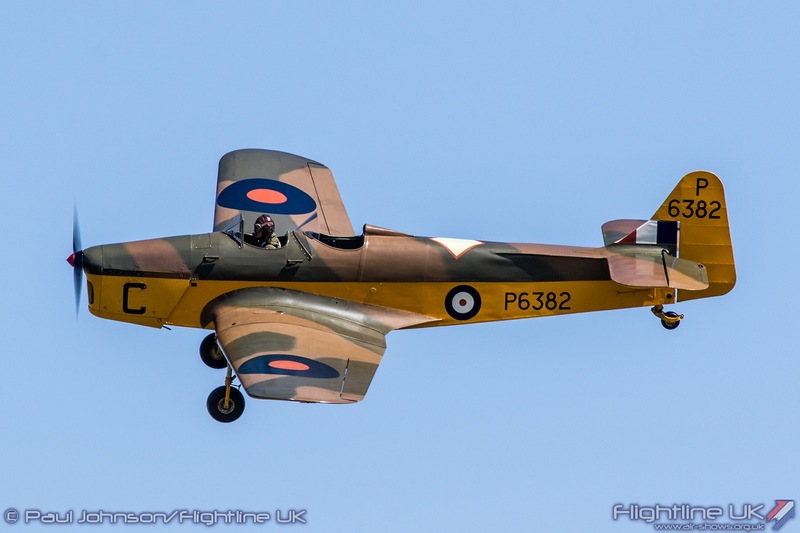 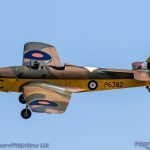 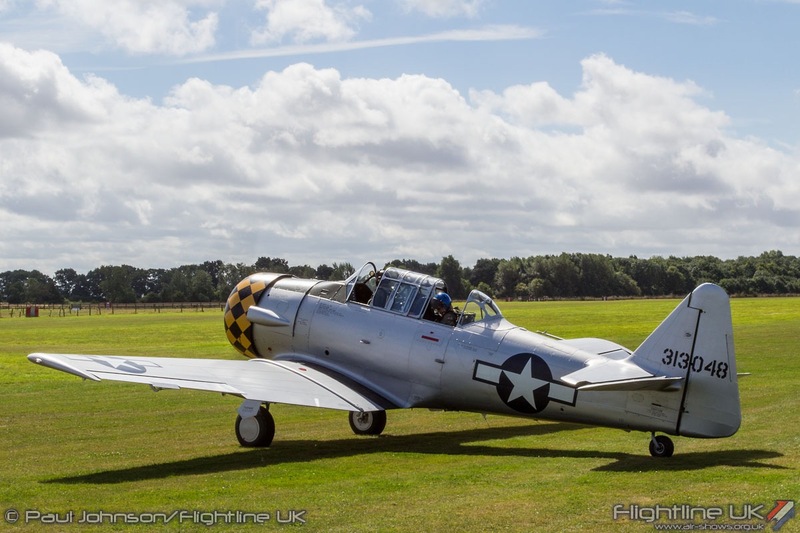 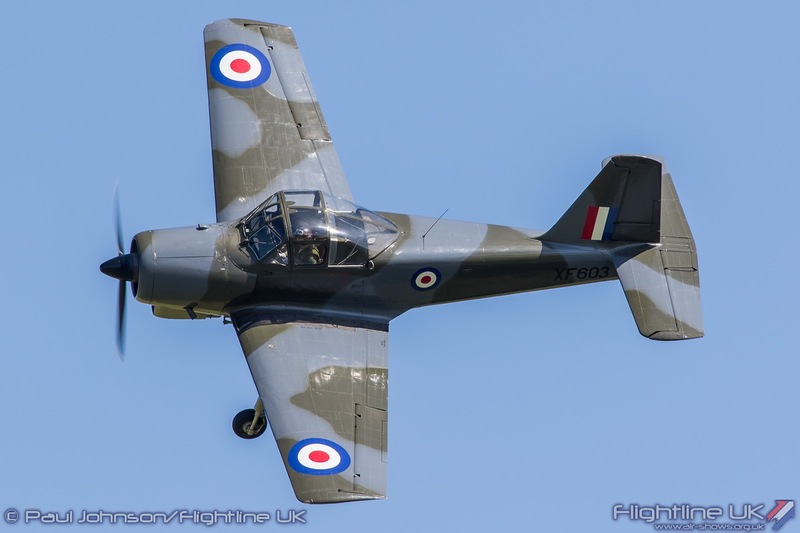 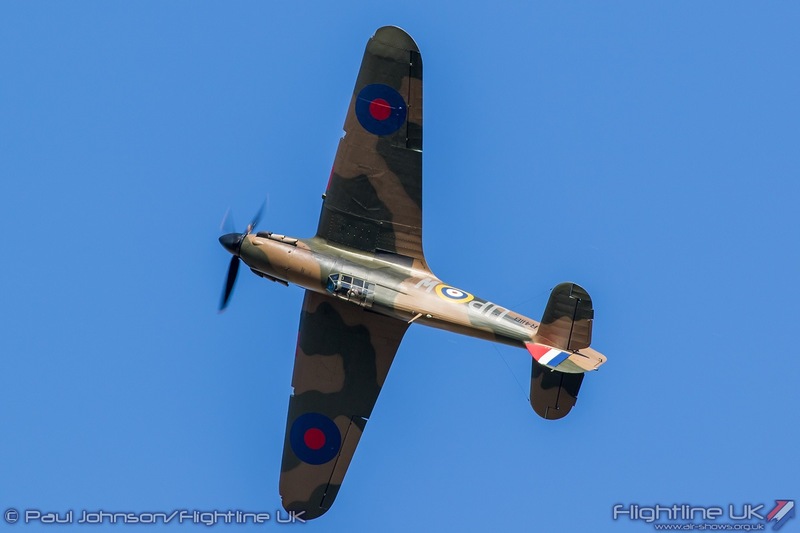 His knowledge and experiences of the participating aircraft is second to none and really give the audience a good feel of the history and feel of the various aircraft on display.